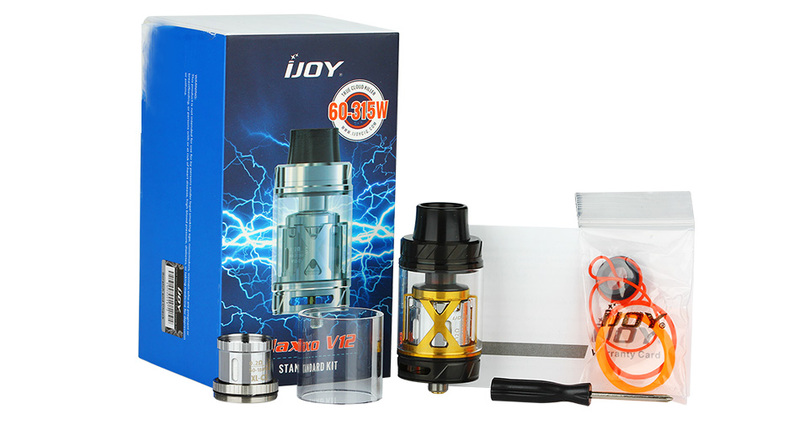 IJOY MAXO V12 Tank is a simple version with a 0.1ohm V12-C12 Coil (60-315W) and 0.2ohm XL-C3 Coil (50-180W). It comes with a 5.6ML juice capacity and 28mm diameter. The MAXO V12 features a delrin wide bore drip tip, intelligent top flip filling system and adjustable airflow control. New triple post V12-RT6 RTA deck structure and classic XL-C4 chip coil are also included. The V12 is a true cloud killer, fantastic choice for high-powered devices.